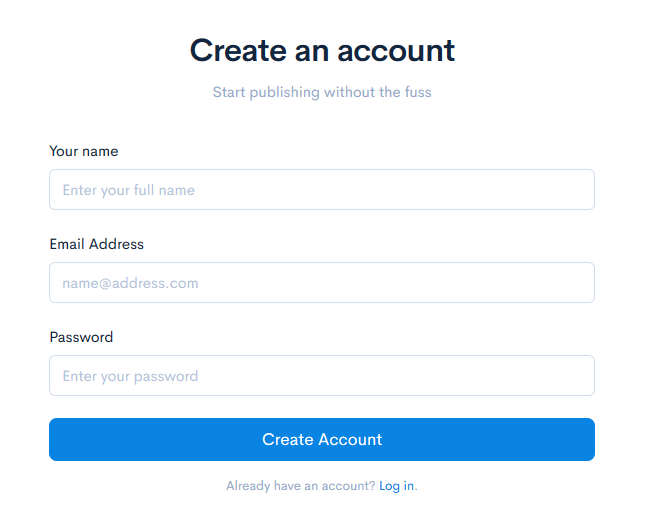 To get started with Cloudpress you will need to create an account by registering. In your web browser, go the the address https://www.usecloudpress.com/register. You will see the registration screen that will allow you to create a new account. Complete the registration by entering your name, email address and a password. Once done, you can click the Create Account button. Once registered, you will be taken to the home page of the Cloudpress Dashboard, where you follow the onboarding process that will take you through the process of linking your accounts and publishing your first document.